WOOD Magazine shop-tested the WORX Pegasus Folding Work Table & Sawhorse. 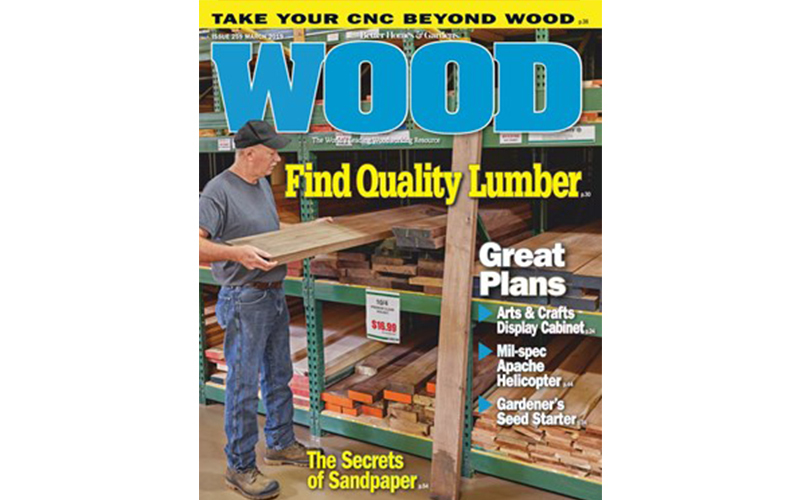 The editors thought enough of the handy portable work table to feature it in the Woodworker Support Group section of their March 2019 issue. The magazine highlighted the WORX Pegasus for its ability to provide a temporary work surface and stock support for your shop. The 25×31″ work surface provides lots of space, and the sturdy legs make it rock solid. It comes with two quick-action clamps that recess into the aluminum channels, and four bench dogs provide stops for clamping workpieces. The Pegasus folds up nicely and weighs just 30lbs., making it easy to store. Read more about the WORX Pegasus HERE, and read some of WOOD Magazine’s articles HERE. WOOD Magazine shop-tested the WORX Pegasus Folding Work Table & Sawhorse for their March 2019 issue. Here's what the magazine had to say about the Pegasus!